In today’s digital world, customer engagement is no longer a series of one-off experiences - it's an ongoing dialogue. However, this ongoing dialogue should not be without keeping a goal in mind. We strive to create an atmosphere of dialogue with the customers, thereby creating a strong brand presence. Purchasers are the customers who buy and continue to buy company’s services or products. They are the actual users for the services or products. Supporters engage in conversation with the company and provide constant feedback. These people feel part of the company, as if they were employees. Influencers evangelize company’s services and products to their network, and are highly regarded for their expertise. They consume and amplify company’s content through their social networks. Advocates are loyal to one company in a particular category and promote the company to their network. Search Engine Marketing aims to increase the visibility of websites in search engine results pages (SERPs) through internet advertisements and search engine optimizations. Nikoways provides results driven SEM services and gives businesses an opportunity to increase their website traffic and increase customer leads. Our solutions provide businesses with complete control over their keywords, advertisements, and the advertising budget. We focus on latest Internet technologies/trends to provide advertising solutions to clients. Digital advertising includes online advertising on search engines, banner ads on mobile or Websites, and affiliates programs. We focus on the latest social media platforms like Facebook, LinkedIn, Twitter, Instagram, Pinterest, Google+, and YouTube and through a professional approach, we enable our clients to interact with their customers on social media and build a strong loyal customer base. We drive innovative Email marketing campaigns and help clients to reach larger audiences. 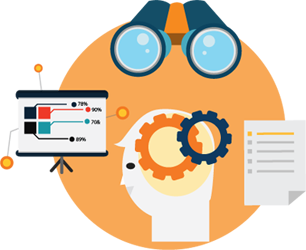 We aim to maximize the leads/conversions ratio thereby resulting in increased ROI for your marketing budget. We have implemented successful Remarketing ad campaigns, also known as retargeting, that follows the user after they have visited company’s website. 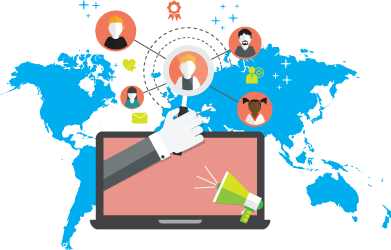 Remarketing can be incredibly successful and can dramatically increase your marketing spend ROI. Nikoways follows the process of gathering/identifying and analyzing the information about the market to provide effective solutions to their client. We set the parameters of the identified change based on proven practices‚ and then work with our partners to find an optimized path to achieve that change. Nikoways experts use different qualitative and quantitative research techniques to gather data that inform decisions in our program development and execution and that capture the results of our work. The amount of content that is being produced today is growing exponentially. The challenge is discoverability of the appropriate content by the right audience. Our propriety SEO techniques improves the discoverability of the content and results in reduction of paid content advertising budgets. Research about your business, industry, competition, and your Unique Selling Point (USP). 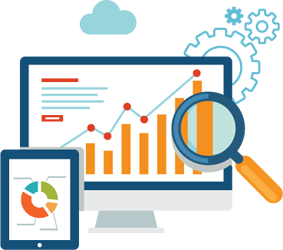 Analysis of your website to determine how it stacks up against competitors, SEO checks, and periodic SEO reports. Emphasis is on targeted Keywords for your business, mobile responsiveness, social media, and link building. Incorporate findings from periodic analysis to improve SEO results.